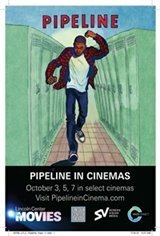 Pipeline tells the story of Nya (Karen Pittman), an inner-city public high school teacher, who is committed to her students but desperate to give her only son Omari opportunities they'll never have. When a controversial incident at his upstate private school threatens to get him expelled, Nya must confront his rage and her own choices as a parent. With profound compassion and lyricism, Obie-winning playwright Dominique Morisseau's Pipeline brings an urgent conversation powerfully to the fore. This Lincoln Center Theater production directed by Lileana Blain-Cruz tells the deeply moving story of a mother's struggle to see her son as a whole human being and give him a future without turning her back on the community that made him who he is.